This mini journal is fashioned of rich, embossed leather just like the bigger journals in our catalog and features 66 pages of parchment. 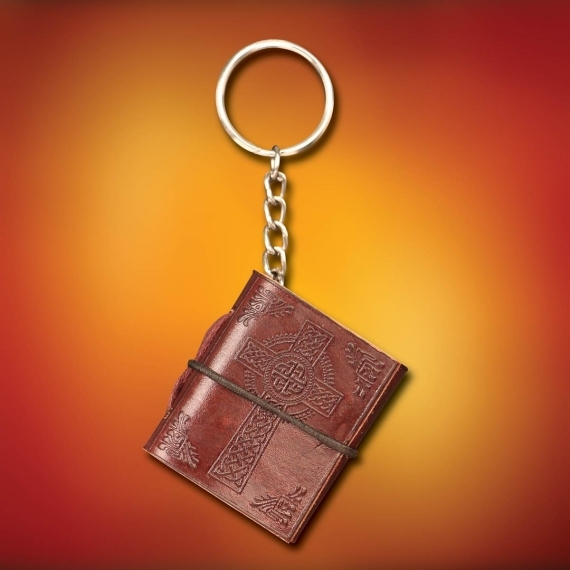 It also has a durable chain and key ring. The journal’s dimensions are 2” x 1-3/4” x 1”. 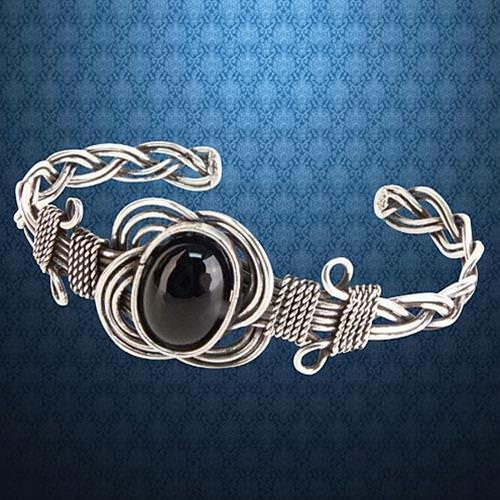 This bracelet is crafted of stainless steel wire with a faux black onyx stone attached within the knot. It is a great addition to any ensemble and particularly complements the Celtic Knot Onyx Necklace. The bracelet can be adjusted to fit most sizes. 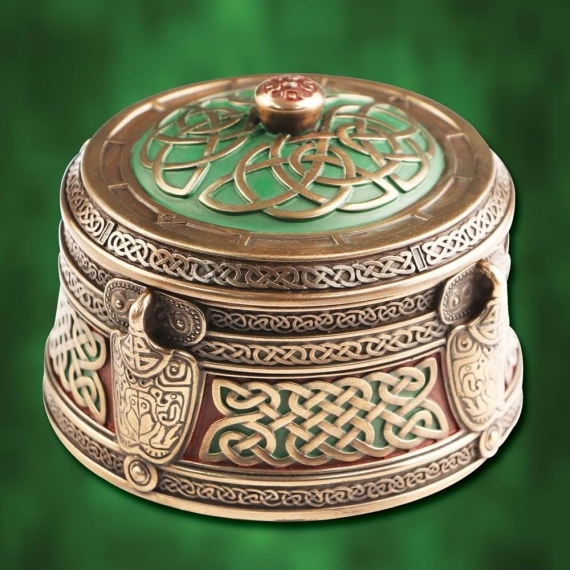 Still, on the Celtic theme, this lovely box is a perfect gift item. 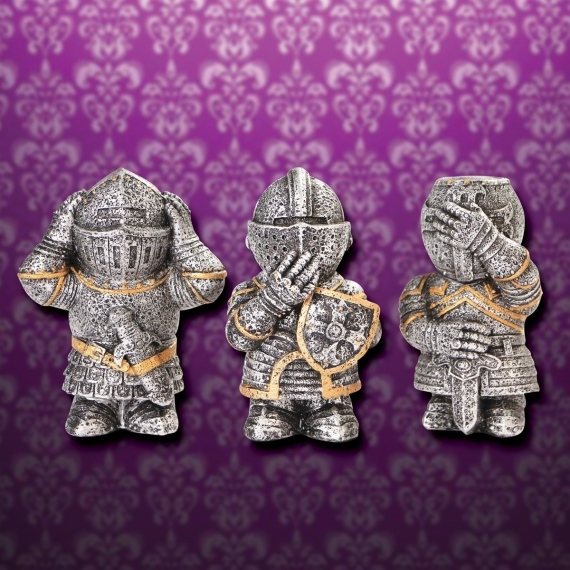 It is made of resin and metalized for that antique bronze look. Pay close attention to the Celtic knotwork. The box measures 3-1/2” across x 3” high. Now a gift for pirate-loving swashbucklers. 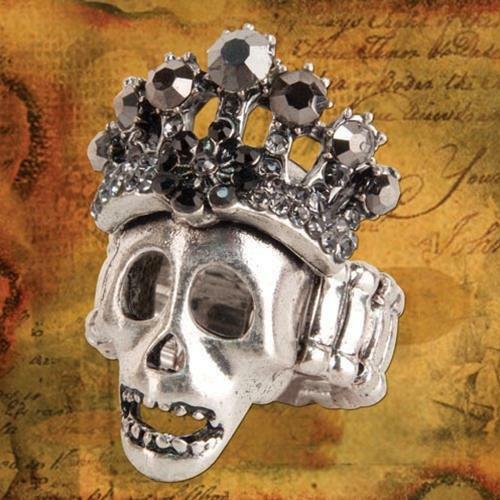 This ring with an antique silver finish features the Jolly Roger skull with a ransacked crown. An elastic band enables it to fit any size. Another for the pirate fan. 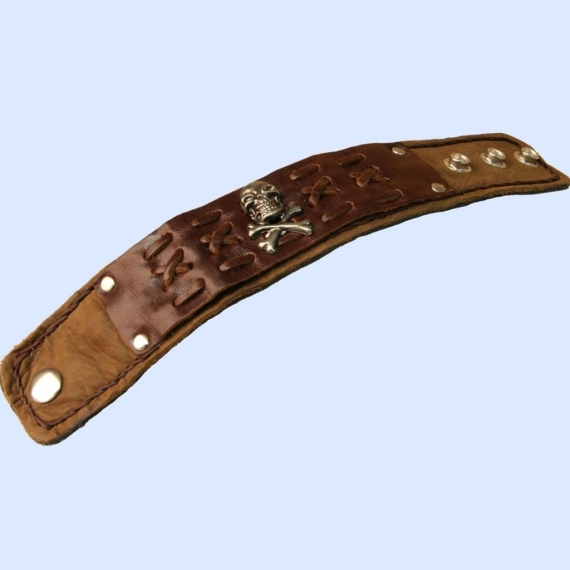 This wide bracelet is made of brown leather and exhibits a silver skull and crossbones and leather cross stitching. The bracelet measures 9-1/2” long x 1-5/8” wide. The cuff is adjustable and fits most wrist sizes. This classy-looking pendant features an antique silver finish. 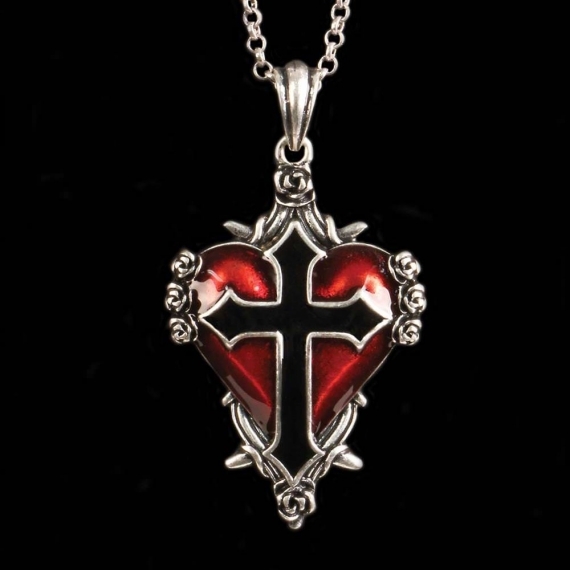 The cross is filled with rich black enamel and the heart with dark, blood red enamel. The pendant measures 2” x 1-1/2” and comes with a 30” chain with clasp. 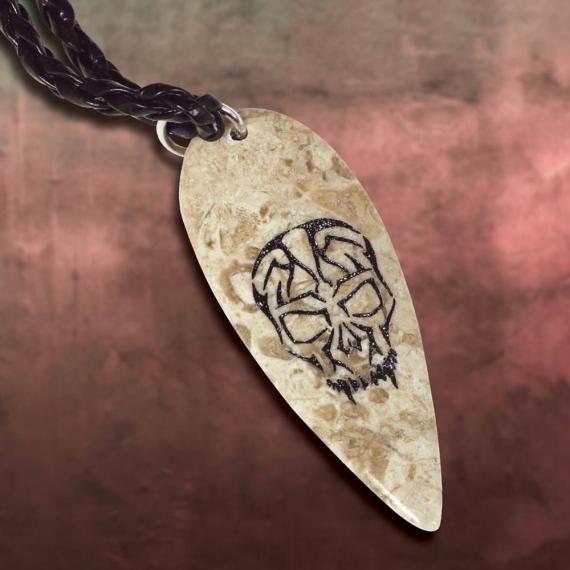 This stunning necklace features a laser-etched skull on a shield shaped tan stone. The necklace hangs from a 20” corded leather thong with locking clasp. The stone measures approximately 2”. The big and burly Vikings were also rather good with delicate artsy stuff, such as this beautiful carved bone whistle. Each one of these fish-shaped, high-pitch whistles has a unique grain pattern and no two will look alike. 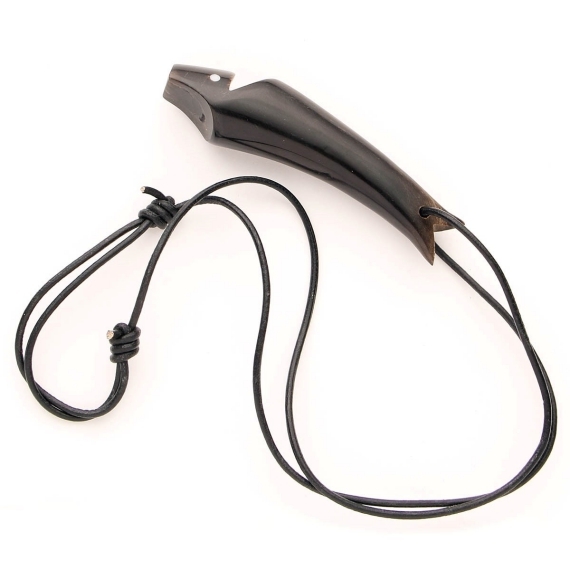 The whistle comes with a leather thong and is approximately 3-5/8” long. This little dragon is in the process of hatching. It is crafted in a cold-cast resin and then painted for realism. If you want alternatives, the catalog offers Red, Green and Purple dragons, each one in a different stage of hatching! 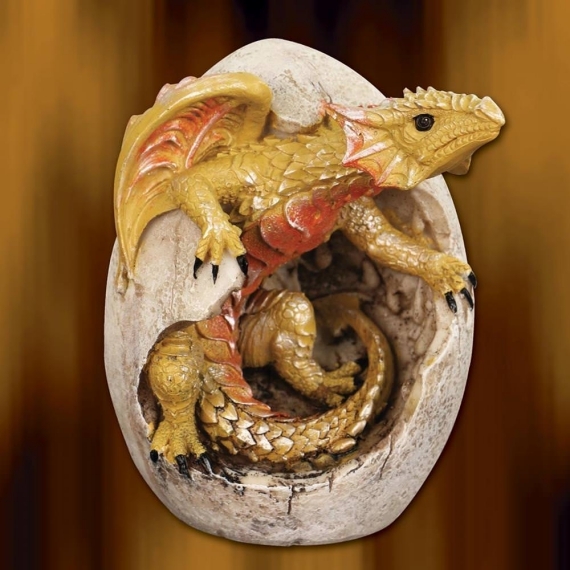 The dragons are approximately 4-1/2” tall with an 11”diameter. Game of Thrones fans will love them. These are just some of the products that make for amazing stocking fillers. Here are more options.